Custom sport coats are a statement of your style and can be matched with every occasion. With an Edward Baumann Sport Coat you will certainly be the envy of everyone in the room. We tailor your custom sport coat for every venue and event you’re attending. Let’s face it, you won’t always be wanting to wear a suit. With a sharp sport coat hand made from one of our thousands of fabrics, you’ll definitely be looking your best. 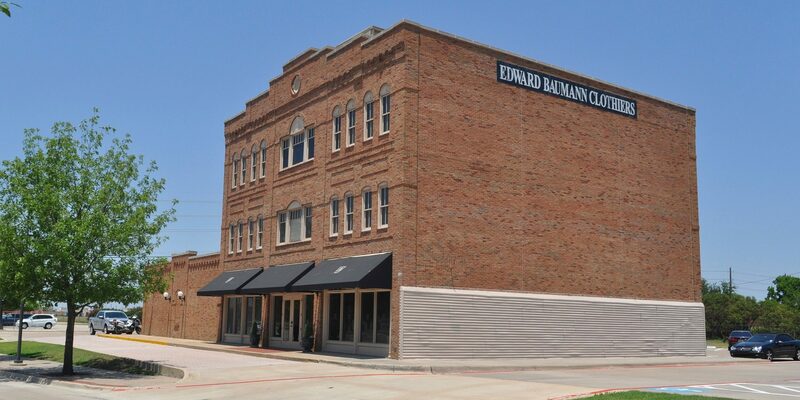 For a refined look that’s casual and sophisticated, experience what Edward Baumann Clothiers can do for you. Custom sport coats are much more versatile than a typical suit jacket, and less formal. You can pair it with casual khakis, jeans, or corduroy. A blazer or sport coat brings numerous options to your wardrobe. Edward Baumann Clothiers relieves the hassle of searching for the right custom sport coat and works with you to pair a sharp new style to what is already in your closet. The Sport Coat can be the most unused article in a man’s wardrobe, when it should be one of your greatest weapons. As featured on our youtube channel, the Sport Coat and jean is one of the most classic combinations. The perfect balance between looking your best with confidence, without being dressed too formally.